Until recently, there was only one Wesleyan fashion Instagram that I knew of. @wesleyangeese showcased the trendy folks around campus that laid claim to $950 Canada Goose parkas. Wesleyan Geese didn’t quite hit the mark, however: it only focused on one clothing item, and it was too conventional. Wesleyan fashion has so much more to offer, as we can often see around campus, read about in the Argus, or see embodied in our alumni. 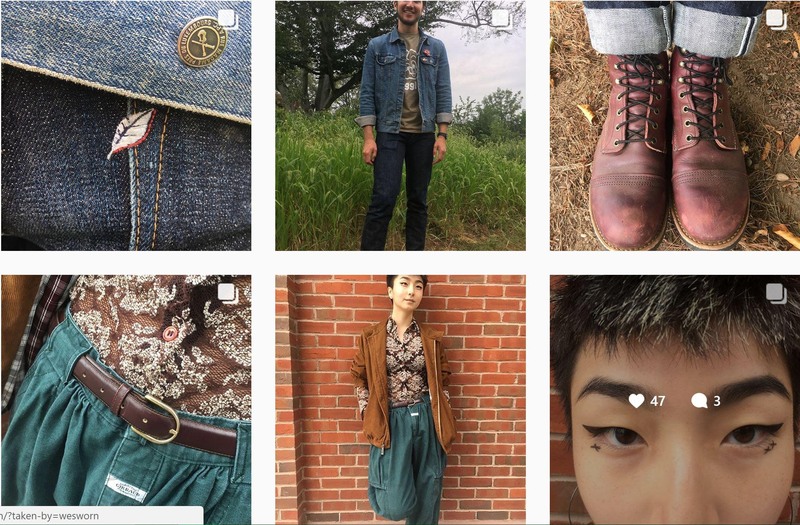 Levi Baruch ’21 saw this gap in Wesleyan social media and founded @wesworn, a fashion Instagram which, according to its bio, has a mission of “Celebrating Wesleyan self-expression, one fit at a time.” Less than 10 days old, the account has already been able to capture some of the more eclectic (I can use that as an adjective again, right?) styles on campus. What’s the centerpoint of your outfit? If you could give one word that describes your outfit, what would you say? When was the first time you put on an outfit, looked in the mirror, and felt really good? Loic and Yeti What is the centerpoint of your outfit? Yeti: I just feel the shirt, it can be part of it. My eyes, they can be part of it. I just feel like the whole fitting can be part of yourself. Loic: Today, it’s Friday. I just want to chill with my friends. I know I’m gonna [watch] some books on the grass, so that’s why I wore something chill. Just comfortable, a floating kind of style. Emma If you could offer one word or a short phrase that’s descriptive of what you’re wearing, or how you’re feeling, what would that be? In this very moment? I’m feeling groovy. Give WesWorn a follow and make more Wesleyan Instagrams. We’ll write about ’em if they’re cool, xoxo. Posted by wilk in Campus Life, Featured and tagged fashion, levi baruch, wesleyan geese, wesworn on September 22, 2017 at 3:57 PM.